Home / Winger News / Posts / Awards / Subaru technician qualifies for Subaru World Technical Competition. Subaru technician qualifies for Subaru World Technical Competition. 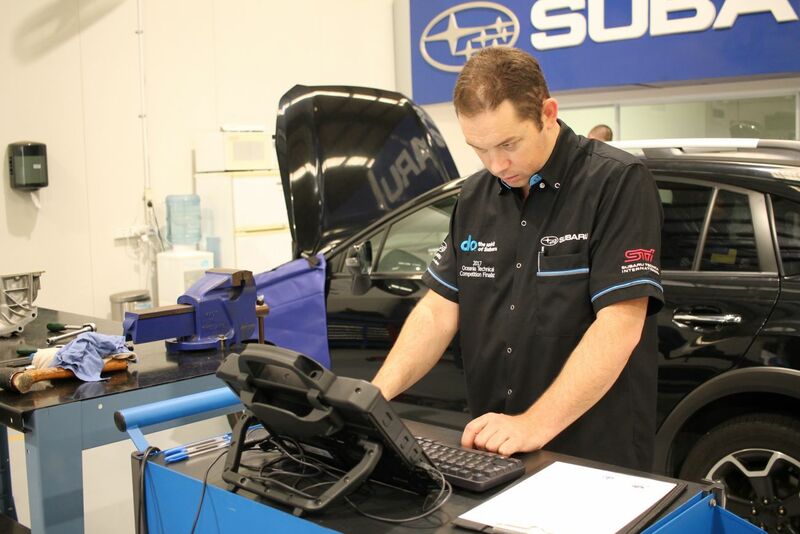 Winger Subaru Pukekohe technician Ryan Grave has qualified for the Subaru World Technical Competition (SWTC) following his strong results at the Oceania Technical Competition, held in Sydney, Australia, on March 15 and 16. Mr Grave was competing alongside nine technicians from around Australia and needed a strong result to secure a place and progress to the SWTC, which will be held in Tokyo, Japan, in November 2017. The Oceania competition involved several components, including a written exam, a practical session based on car diagnostics and testing both on and off the car across two days. This will be New Zealand’s second consecutive appearance at the biennial SWTC, following Taupo-based Morrell Motors’ technician Steve Comber’s fantastic effort in 2015. Subaru of New Zealand’s Managing Director Wallis Dumper congratulated Mr Grave on his result and consequent qualification. “This consistent high performance again underlines the strength of Subaru technicians in the brand’s authorised dealer network and shows we are up there with the best in the world,” Mr Dumper says. Subaru of New Zealand’s Technical Service Manager Phil Hall assisted Mr Grave at the competition as an advisor and was pleased with how Mr Grave worked under pressure. “Ryan performed really well and managed to score the top result out of all competitors in a number of the 11 individual tests in the competition. This sort of performance shows he deserves his place at the 2017 Subaru World Technical Competition. I’m excited to see how he goes in Japan,” Mr Hall says. He will undergo further training and competition preparation in the coming months to ensure he is ready to have a crack at the title of ‘World’s best Subaru Technician’. Subaru of New Zealand wish Mr Grave all the best for his preparations and again congratulate him on his performance so far.